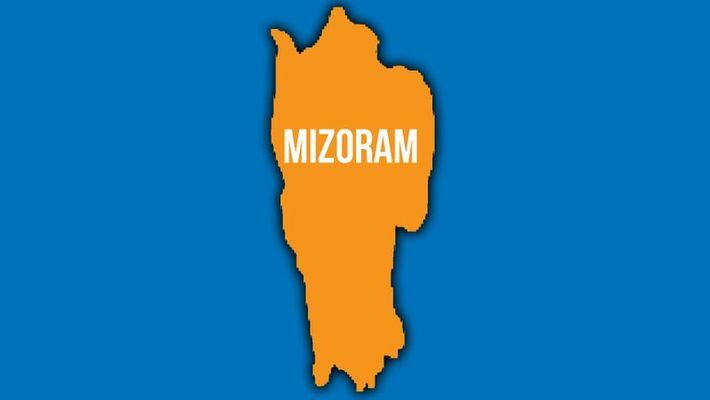 New Delhi: Mizoram's new party Zoram Thar wants to eradicate corruption and "dirty system of politics" in the state through "God's leadership". With the 40-seat Mizoram Assembly set to go to polls on November 28, Zoram Thar's 26-year-old candidate Lalruatfeli Hlawndo wants "brave and godly" men and women to challenge the system. Lalruatfeli's father, evangelist Zaichhawna Hlawndo is the president of the party and wants to establish "God's government". He calls his party a spiritual one. Zaichhawna, who has preached across India, the US and the United Kingdom, is contesting two seats. His evangelist daughters Lalruatfeli and Lalhrilzeli, both educated in the United Kingdom, too are in the fray from two seats each. "Zoram Thar, meaning New Mizoram, was founded by Rev. VL Nithanga in 1994 but it lost its way in the political quagmire and became defunct. Ours is a new group guided by divinity to clean up the corrupt political system and establish God’s government," the 55-year-old Zaichhawna told The Hindu recently. Zaichhawna is up against Mizoram chief minister Lal Thanhawla in Serchhip and he is also contesting from Aizawl West 1. The 28-year-old Lalhrilzeli is contesting from Aizawl North 2 and Lengteng while Lalruatfeli is trying her luck from Aizawl North 1 and Taikum. The father and daughters are in the poll contests as independent candidates. Zoram Thar is contesting 24 seats. "Zoram Thar is not a party. It is a collection of people who have identified that godliness and biblical principles are the core to eradicating corruption and the dirty system of politics in Mizoram. Only by God's leadership can we have pure democracy and the right heart to truly take care of the public," Lalruatfeli told India Today on Tuesday. Stating that "relieving poverty" was her priority if elected, Lalruatfeli said all her party's candidates have put their trust in God to lead them to the people. "The candidates for Zoram Thar are standing as Independents, trusting in God to lead them and the people — and have not used party political system of taking members, setting up units and using money and bribery to buy people's votes," she said. On her decision to return to India from the UK, she explained, "I already had a career in the UK. I am an ordained pastor and was also working as an Admissions and Marketing Officer for a Bible college. When I came back to Mizoram to support my father, I realised clearly that Mizoram is not developing as it should because of our corrupt politics. "Mizoram needs brave and godly men and women to challenge and change the system; I simply decided to be one of them. I may not have grown up in Mizoram — but these are my people; this is my nation."